I get up at 9.00am. 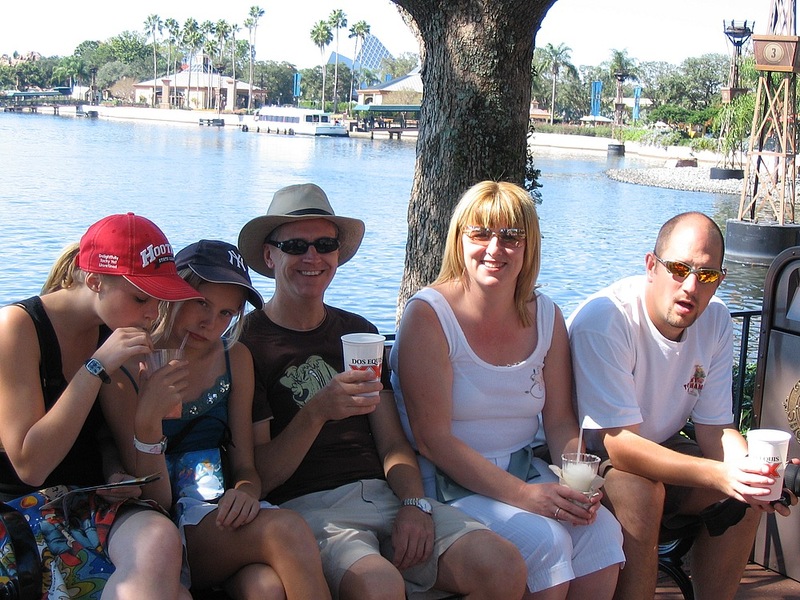 Breakfast is taken and we are all on the way to Epcot by 11.45am. Its a glorious sunny morning without a cloud in the sky and the temperature in the mid 70s. We enter Epcot and walk across to get Fast Passes for Soarin before heading across to The Seas where the new Nemo ride is open. The large sign outside where the waves splash has the seagulls from Finding Nemo making a noise. It reminds me of Matts attitude to beer. Mine, mine, mine. Theres something about those seagulls that just makes everyone laugh as they pass. The ride itself is longer and better than I expected with some nice effects, especially when you see Nemo and friends in the big tank at the end. Its now time for Soarin where we ask for the top row. Tam, me and the girls have done this in California, but not in Epcot. The film is identical, but it is still a wonderful attraction. You really do feel like you are flying. As we come out of The Land Deb rings her daughter Harriet to wish her a happy birthday. We get some strange looks as we all crowd round the phone to shout Happy birthday Harriet. Next we pick up Fast Passes for Test Track where we are given some Surprise Passes for Mission Space as well. Deb and Matt have never done this so we all do the green, less intense version except Tam and Ind who are brave enough for the high octane version. The mild version is actually better than I expected and you get a lot more sensation of movement than I thought you would without becoming a member of the I vomited on Mission Space club. I am the Commander of our motley crew and it is thanks to my skill and adept button pressing that we land safely on Mars. The incompetent riff raff that accompany me on the voyage are poor to say the least. I can feel a strongly worded memo to Space Command coming on. 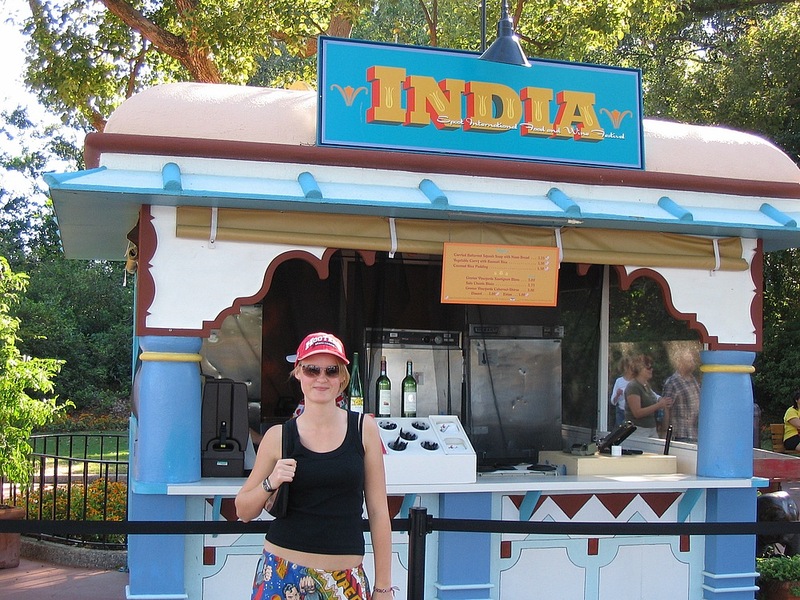 Its now time to start our walk around World Showcase to discover the delights of the Food and Wine Festival. Unfortunately Matt and I are driving so the drinking is kept to a minimum, but we do enjoy snacks at many of the stalls. I cant remember what order we did things in, but here are a few of the snacks we tried and marks out of 10. China  Chicken Sha Cha skewers with peanut sauce  8, Pork pot stickers  9. In Turkey we watch a man making marbled paper, which was very interesting. The British Invasion are playing in the UK as we pass, so we sit and watch with Georgia remembering when we watched them here on Millennium Eve. Its now around 5.30pm and the Churchills leave as they are going to a steakhouse tonight, whereas the Stringers are going across to the Magic Kingdom for Spectromagic and Wishes. Never a dull moment. Before we leave Epcot we manage to use our Fast Passes for Test Track, which is a walk-on anyway, and take a spin on Spaceship Earth. Considering the Food and Wine Festival is on the crowds are very light today. 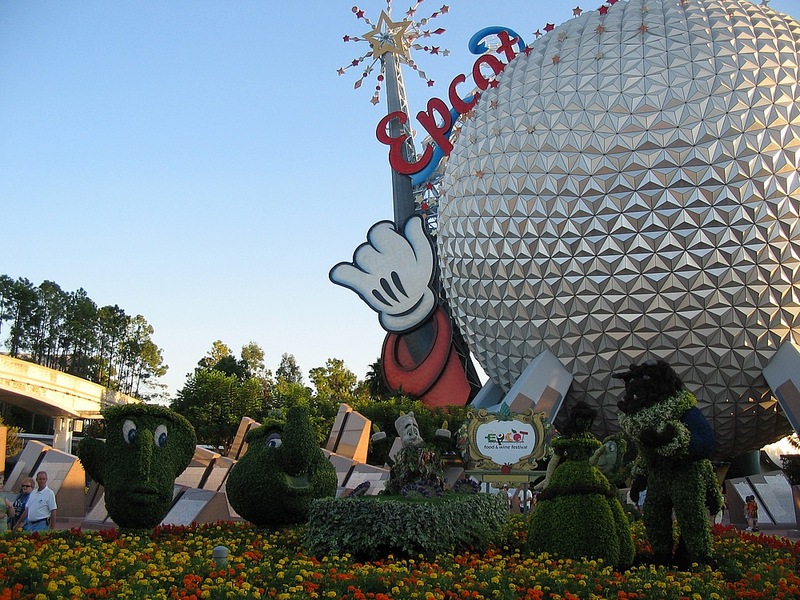 I think I speak for all 6 of us when I say that Epcot is our spiritual Disney home. 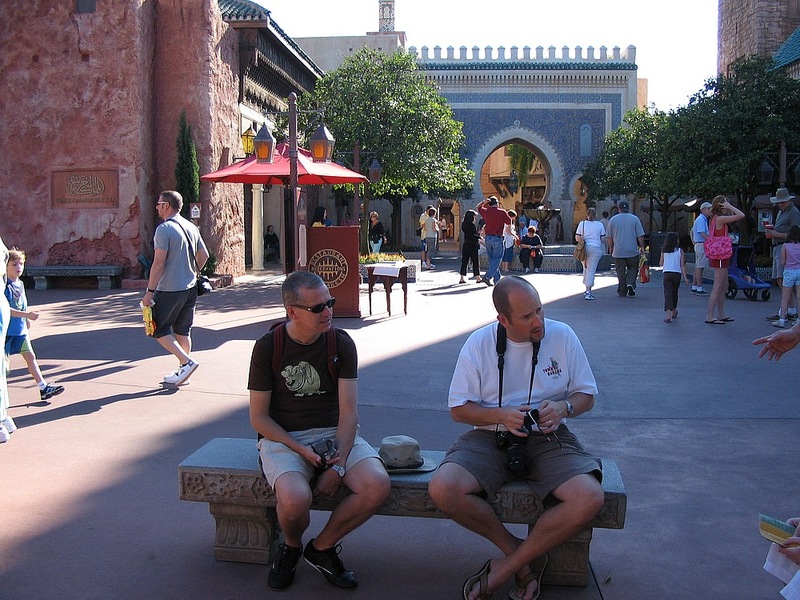 The other parks are great, but its Epcot that we all feel most at home with. Its just a pity we wont see Reflections of Earth tonight, but we will do that several times when we are on-site next week. Into the car and across to the Magic Kingdom where we enter at 7.00pm and find a place on the hub to sit while I write up my trip report and we wait for Spectromagic. Its fun as always, but for me it has lost the impact that it had when I first saw it. The parade finishes and we take up our spot for HalloWishes. We didnt realise it would be the Halloween version so its a nice surprise. The ghost host from the Haunted Mansion narrates the show and introduces different villains who have their own section. Some of the individual fireworks are amazing. How do they make a perfect smiley face? At one point they play Trust In Me from the Jungle Book and two red fireworks explode simultaneously creating Kaas eyes. Its a great show, but we still miss (and prefer) Wishes. It seems to have more Disney magic. Tam asks a CM when it will be back on and she is told next Wednesday, two nights before we go home, so we may get to see it. We wait for most of the crowd to clear before going to Caseys Corner for hotdogs and chilli, which we eat in seclusion down by the rose garden in front of the castle. When we finally exit the park there is only a 5 minute wait for the monorail to the T&TC. There are still quite large queues for the tram, but as we are in the Minnie section of the car park we walk instead. Back at the villa Deb is asleep on the sofa in the games room and Georgia goes straight to bed as she is tired. Matt and India take turns to wind each other up, Matt just about coming out on top, but give her a couple of years and hes in trouble. A few games of pool are played. Matt 37, Kev 34.